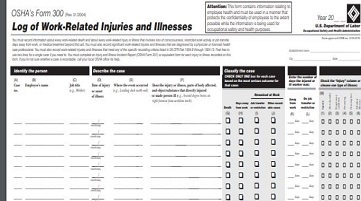 OSHA: Does our office have to keep the 300 Workplace Injury and Illness Log? OSHA uses the data from these logs to assess and remove safety and health hazards. Establishments that have 250 or more employees and high risk industries with 20-249 employees must electronically submit the form. The list of high risk industries can be found at https://www.osha.gov/recordkeeping/NAICScodesforelectronicsubmission.html. Most of TMC’s clients do not have to submit this log. HIPAA: Should volunteers in our office receive HIPAA training? Yes. According to Health & Human Services (HHS), a covered entity must train its employees, volunteers, trainees, and may include others who are under the direct control of the entity regardless of whether they are paid or not. Training should include information about your privacy policies and procedures when necessary and appropriate to carry out your daily functions.